Jack McClure, Special Advisor and closest friend to the new President of the United States, interprets the world very differently from the rest of us. It's his greatest liability, and his greatest asset. An American senator, supposedly on a political trip to the Ukraine, turns up dead on the island of Capri. When the President asks him to find out how and why, Jack sets out from Moscow across Eastern Europe, following a perilous trail of diplomats, criminals, and corrupt politicians. Thrust into the midst of a global jigsaw puzzle, Jack's unique dyslexic mind allows him to put together the pieces that others can't even see. Still unreconciled to the recent death of his daughter and the dissolution of his marriage, Jack takes on a personal mission along with his official one: keeping safe from harm his two unlikely, unexpected, and incompatible companions-Annika Dementieva, a rogue Russian FSB agent, and Alli Carson, the President's daughter. As he struggles to keep both young women safe and unearth the answers he seeks, hunted by everyone from the Russian mafia to the Ukrainian police to his own NSA, Jack learns just how far up the American and Russian political ladders corruption and treachery has reached. 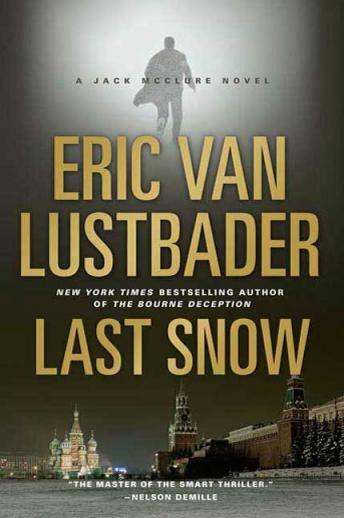 In the vein of Eric Van Lustbader's latest bestselling Jason Bourne novels, Lustbader takes us on an international adventure in this powerful page-turner that will keep you reading through the night.